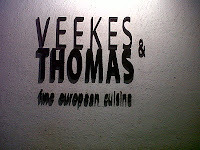 I have been a fan of Veekes and Thomas for sometime now. I've lost count of the number of times I've eaten here. From a small kitchen with four tables for dining, to the little cart in Jayanagar 4th block, to their first restaurant-type outlet in JP Nagar 7th Phase, I've seen them only grow from strength - to -strength. They are now open across seven locations in the city. Last night, my family and I dined at their JP Nagar outlet. This is a cozy by-the-doorstep kind of a place. The ambience is warm, decor is basic and practical and the music is awesome (read Deep Purple, Rolling Stones and the likes). 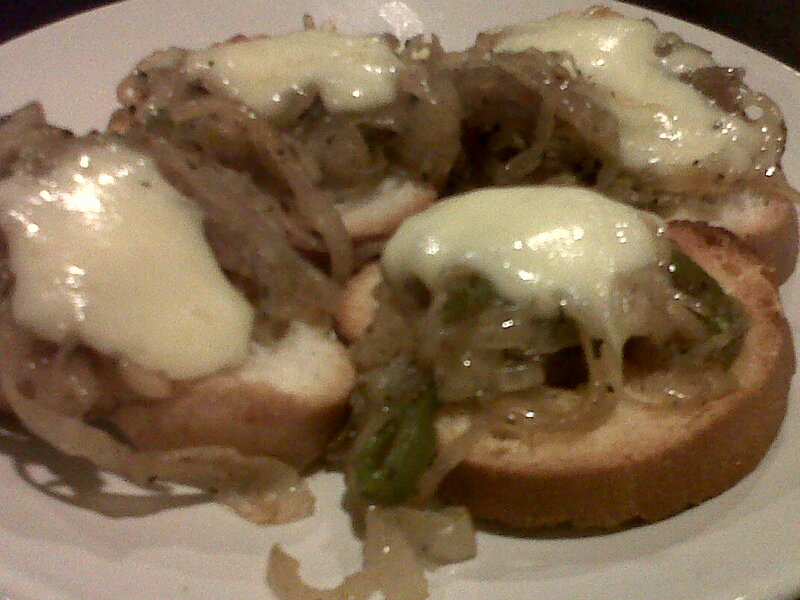 For starters we had Grilled Onion Bruschetta. The bread was done just right, toppings tasty and juicy with the right amount of cheese. My daughter attacked her favourite Garlic Bread with Cheese, which was also very nice. Moving on, we had Vegetable Steak and Ratatouille. The cutlet in the steak could have been spiced up a bit, however the delicious brown sauce topping made up. The flavour was very different from anything I have had before. And my daughter, who is a pretty fussy curd-rice/thair sadam type kid just loved it. 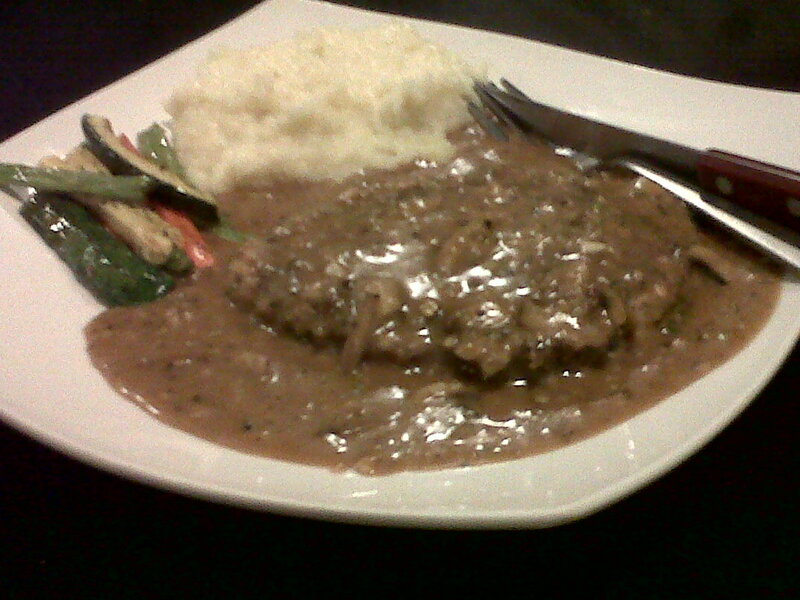 The mashed potato served with the steak was delicately laced with herbs. Just yumm! I ordered Ratatouille out of curiosity. This turned out to be herbed rice served with a tangy tomato sauce over sauteed zucchini, mushrooms and assorted vegetables garnished with basil. This platter came piping hot to the table, and I must say I was not at all disappointed. A very tasty dish, which is something inbetween oriental and European. 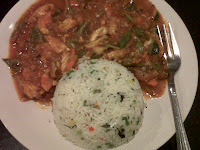 The rice was delicately flavored and the gravy was rich and aromatic. Next, we ordered a Lasagna. I was a tad disappointed as it was pretty dry and not at all cheesy. One of their really good main course dish - Cannelloni, is not available anymore - another disappointment! Desserts are pretty good, however the portions are pretty tiny. V&T also home deliver in and around J.P.Nagar. When food is home delivered, the main course tends to get dry. So make sure you ask for some extra sauce. But I have to give it to them - how many restaurants actually deliver continental/europen food (albeit indianized) to your doorstep? Overall, every visit to Veekes has been a good experience. Tasty food to suit the Indian pallet. PS: I miss the eco-friendy plates (yele thatte) and bowls (donne) they initially used to serve food. 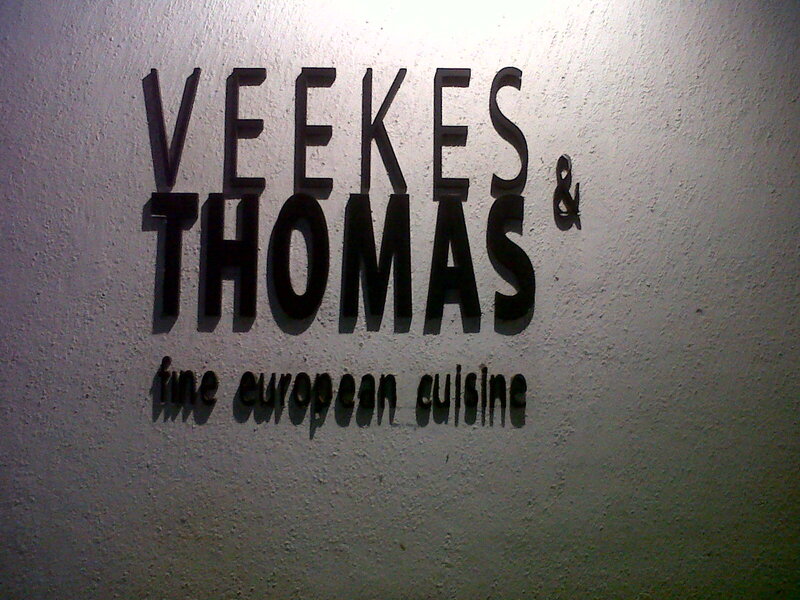 Veekes and Thomas delivers what they propose - "We aspire to do to continental cuisine what the Chinese from Calcutta did to Chinese food decades ago – highly Indianized, very affordable and easily available." Highly recommend V&T for a quick , tasty and light-on-the-wallet meal. Hello, thank you for visiting Thindi Theerta. Thindi Theerta means food/snacks and holy water in my mother tongue Kannada (a south Indian language). I love cooking, eating and feeding. So Thindi Theerta is where you will find me cooking up a storm: hand-me-down inspired recipes, some borrowed and some new - or sometimes just basic everyday food. The never ending process of discovering new places will feature as travelogues, while I archive my experiments in the kitchen as recipes. I love eating out and indulge in treating myself to a good meal pretty often. These eating out experiences will feature as reviews. I believe that the first opinion is the last when it comes to restaurants. Everyone may not agree or like my opinion, but then, that is the power of the pen...or perhaps the keyboard (in this case).